Oh. My. God. Becky, look at her NUC. Seriously, look at it. 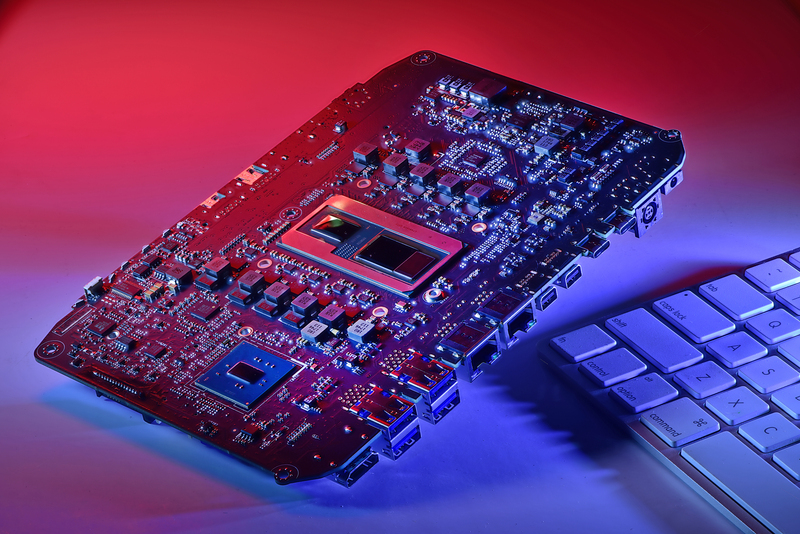 From the VRMs, chipset, and I/O to even the leviathan Intel Kaby Lake G chip, the latest Hades Canyon NUC from Intel is a space-saving masterpiece. Want a pad with that? Here are the best PC controllers around. 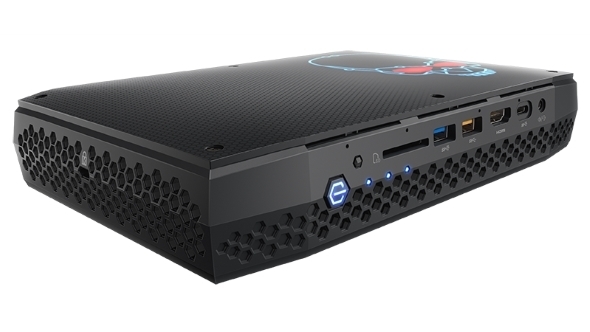 Intel’s recently launched Hades Canyon NUC features their own Hybrid Core i7 8809G chip and a big heap of graphical overcharge from the top AMD Vega M graphics chip, delivering around Max-Q GTX 1060-level gaming performance. There’s also the i7 8705G version with a cut-down Vega chip to equal some of the first laptops we’ve seen with this oversized mobile chip. Intel’s Hades Canyon NUC technically launched in January, 2018 – at least on paper – but we are only expecting to see the units actually on the shelves in April. We’ve already seen a few leaked benchmarks for this ‘next unit of computing’ mini PC, showing the unit to be plenty capable of 1080p gaming – even at Ultra settings. However, for the moment we are simply going to enjoy Intel’s Hades Canyon PCB glamour shot and bask in it’s full 3000 x 2000 resolution glory. 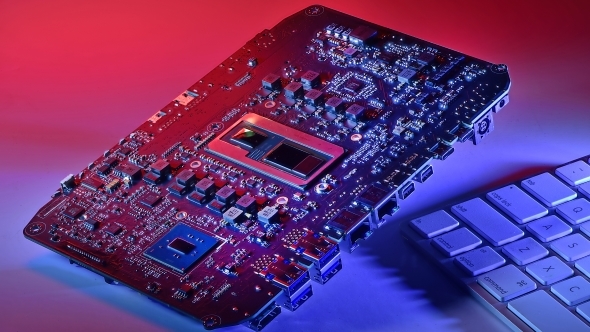 Intel’s almost unmatched access to manufacturing facilities gives them quite the advantage when it comes to the design of these miniscule machines – which is evident in the PCB design for their latest NUC. Not even a centimetre of space has been left untapped on this board, and they’ve even filled the mobo out to the corners of the case to offer precious more real estate. While the design may leave gamers mouth agape in awe of its beauty, even the barebones kit of the top-end chip equipped Hades Canyon NUC will likely creep up way beyond $1000 with all the bells and whistles installed. Anyways, if you miss the PCIe port or fancy taking on the small form-factor challenge yourself, here are the best mini PC builds of 2018.